WILLOWBANK UPICK FARM IS OPEN TO THE PUBLIC EACH FALL, DURING SEPTEMBER AND OCTOBER. Offering many varieties of upick apples and pumpkins, farm market with local produce and homemade jams and if you are lucky apple pies. Customers of Willowbank U-Pick are invited to enjoy a variety of farm related activities and special events. Scroll down for more information. Young and old alike will enjoy an up close experience with the farm animals. Make sure to ask what their names are. See some of their pictures on the "animals" page. Back again this year, we have created the Willowbank maze. Perfect for young families who want to try a corn maze. Located at the check out area - children enjoy crawling through the hay. Its a little dark and spooky - so better for the older child. Bring along your own picnic and enjoy one of our various picnic areas. Tables are limited so bring along a blanket. Bring a pair of walking shoes and explore the dykeland along the Cornwallis River. Watch some of the highest tides from along the front of the farm. Wander down to the old grave yard which was used by the early French settlers. Make your way to the Planters monument and read about the Acadian Settlers. We would be happy to point the way. Bring along a football or soccer ball or have a game of catch. If you have enough people- make a pyramid on the front lawn. *Weekend / Holiday Bracelet Purchase Required - to make things simple for you, these extra activities are available with the purchase of a $5.00 Willowbank U-Pick Bracelet per person(no charge for children 2 and under). Family rate of $20. Adults who wish to particpate require a $5.00 braclet as well. Find out what is included each day at the time of your visit and purchase at the Farm Market. Not all activities are available at all times. We suggest supervision of your children at all times. Eligibility WILLOWBANK UPICK FARM IS OPEN TO THE PUBLIC EACH FALL, DURING SEPTEMBER AND OCTOBER. Offering many varieties of upick apples and pumpkins, farm market with local produce and homemade jams and if you are lucky apple pies. Hours 9am - 5:30pm 7 days a week including Thanksgiving Day. 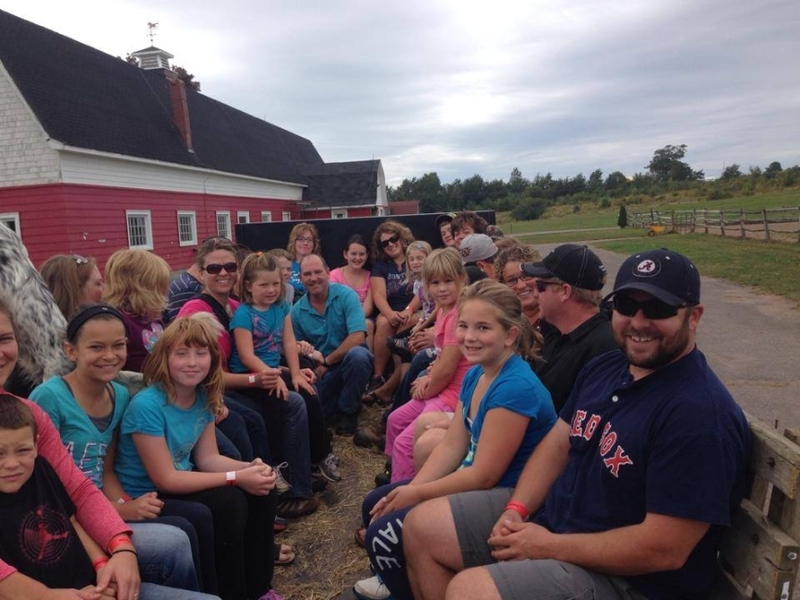 Dates Open September and October for U-Pick, farm market, hay rides and petting zoo. If you are visiting during "non operational months" please feel free to walk around, leave no trace and be respectful of the farm! Meetings Organize your own special event, but let us know if you has something going on.